My Tie du Jour is from days gone by. It’s a vintage knit from the Royal Knight collection from Joslins, a company so out-of-date that it is ungoogleable. 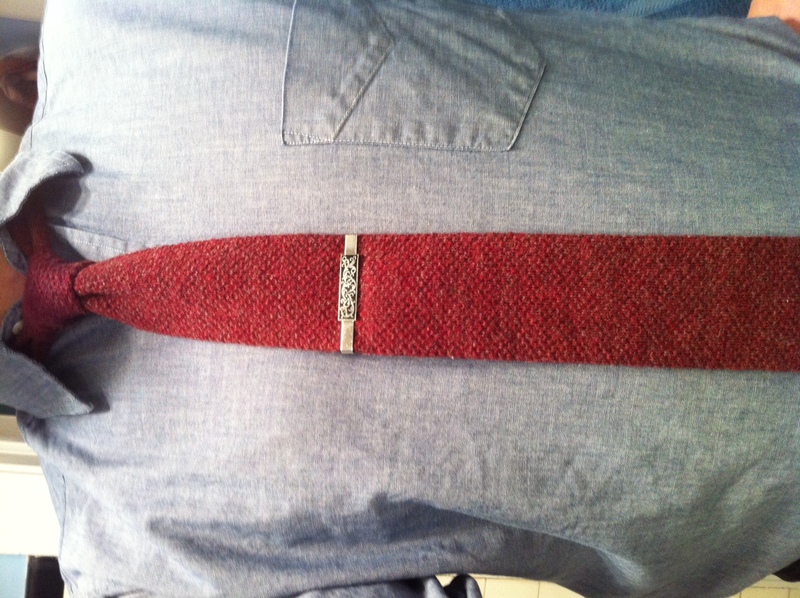 This is a kid’s tie, as it barely had enough tie to make it down to my belt. I don’t think you can see from the picture, but the tail is held together by the tie bar. This day was a pretty big day in the history of TieXchange. 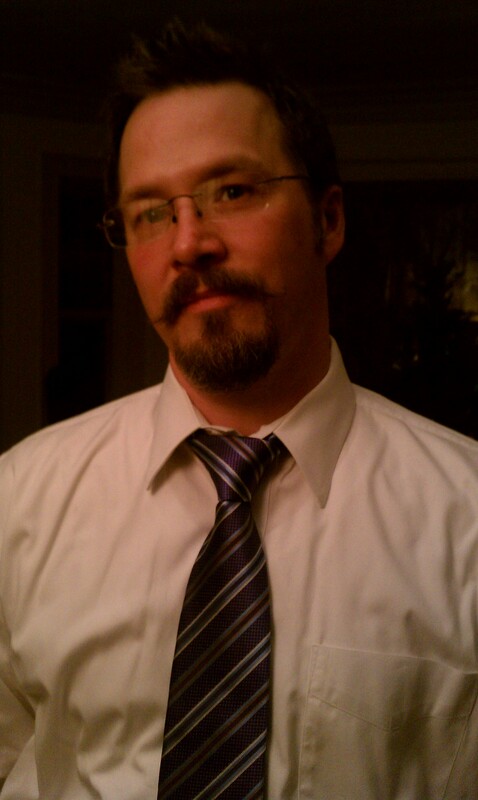 Friend and a many-time GWT, Dr. Vince Roberts (of Reavy Rehab) submitted the first picture of his TieXchange tie, a purple striped beauty from Astor & Black. This was a former 100D100T strip, from last April. Another friend, and former GirlWT, Billie Kershasky, is a sales rep for A&B.